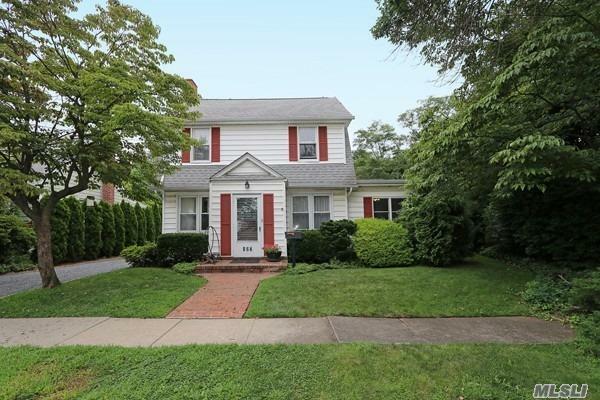 Spacious, Bright And Airy Colonial With Beautifully Park Like Landscaped Property. Includes Add'L 50X82 Attached Lot Giving A Total Property Depth In Excess Of 180Ft; 3 Car Garage, Ig Sprinklers System, Storage Shed, And Vegetable Garden. The Skylit Interior Features 4Brs, 2Fbths, Finished Attic . Central Nassau Location Offers Close Proximity To Schools, Entertainment, Parks, Golf, Beaches, Major Roadways And Public Transportation W/35Min Railroad Commute To Manhattan.